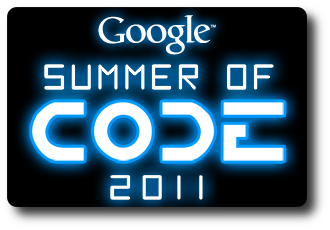 Note: Kamailio has applied for the second year for participation to GSoC, now for the 2011 edition, again together with Jitsi project. Stay tuned for updates on this topic! SIP Express Media Server (aka SEMS) version 1.4.0 has been released. SEMS is a high performance media and application server for SIP based VoIP networks started at the same research institute with SIP Express Router (SER), thus having same origins as Kamailio as well as sharing several developers. SEMS interoperability with Kamailio is therefore guaranteed, being the first option for a SIP B2BUA whenever is required in a Kamailio deployment. This release of SEMS features a powerful Session Border Controller (SBC) module. From completely transparent B2BUA to customized URI/From/To, strictly filtered (messages, headers, codecs) with RTP anchoring, Session Timer enforcement, prepaid and call timer, the SBC facilitates interconnect and core routing in a simple and secure way. Thanks to the new multihoming support, SEMS can now be employed at the border of the networks. Asipto and Sipwise, two companies involved in the development and management of Kamailio project, announced today the joint venture to create complete and competitive IP Telephony product using Kamailio as core component for SIP routing. The venture focuses on recently announced SIP:Provider platform targeting IP telephony operators, delivered as out of the box system with features such us authentication, authorization, NAT traversal, call forwarding, call baring, voice mail, web interfaces for monitoring, administration and user portal, post paid billing, interconnection for PSTN with least cost routing, a.s.o. SIP:Provider CE version is provided free of charge, under open source license, you can install it easily via Debian packages or images for VirtualBox and VMWare. The target is to fill the gab between raw components such as Kamailio and full operational IP telephony system, that one can download, install and then it is ready to go to operate telephony services, without messing to put together various applications and having to understand SIP. SIP:Provider Pro Edition adds telecom specific SLA along with extra features such as prepaid billing, high availability and redundancy.